Listening to other people talk about fitness is one of the best ways to motivate yourself to keep fit. As you listen to other people say interesting and inspiring things about getting and keeping fit, you feel enthusiastic about working on your own fitness. Fitness podcasts are excellent for this, often diving deep into various health and fitness topics. Some of the best podcasts don’t just talk about fitness in isolation but also discuss how it relates to other issues, such as body positivity, mental health, and happiness. Take a look at these top fitness podcasts if you’re looking for some motivation not just in fitness but for life. Are you looking for a fitness podcast that will challenge you intellectually? If you want something that’s heavy on science, Found My Fitness with Dr Rhonda Patrick (who has a PhD in biomedical science) is a good choice. This podcast explores everything from the latest research on aging and brain health to how to improve your wellbeing. Whether you’re interested in the science or trying to improve yourself, there’s something for you. Hurdle is a podcast about using wellness and fitness to get through tough times. Keeping fit is often excellent for your mental health, and Emily Abbate looks at the different ways people use wellness to cope. She interviews people to hear their stories and the lessons they have learned. The podcast is intended to be educational and motivational, helping to give listeners the push they need to live a healthier and happier life. All About Fitness by Pete McCall covers the anatomy and physiology side of keeping fit. You can learn all about different exercise trends and the best ways to reach your goals. Like some other fitness podcasts, it takes a fairly scientific approach to fitness. If you’re someone who wants to work on evidence and not just follow fads and trends, then that’s the sort of content you need. The episodes can get pretty in-depth, but there are also some short Quick Fit Tip episodes, some of which are under ten minutes long. These podcast episodes are around 30 minutes each, which is ideal for anyone who prefers a shorter podcast that they can fit into their lunch break or commute. Motivated is hosted by ABC news correspondent Mara Schiavocampo, who interviews fitness experts and doctors. With her guests, she discusses health trends and interesting health and fitness topics. Entrepreneurs will love the Business Meets Fitness Podcast. 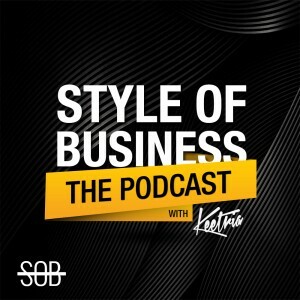 This podcast combines business and fitness to discuss topics relevant to both, such as getting into the right mindset and self-development. The podcast covers health, fitness, wellness, how to make money in the fitness industry and general advice for being a better business person. For example, a recent episode dealt with how to be more confident, which is useful for both fitness and business. Listen to these podcasts while you’re working out or during your downtime if you need some motivation and inspiration.